A report of original Children’s HealthWatch findings demonstrating that the foundations of school readiness are laid long before the start of formal education begins. Rising energy prices affect all households, yet the impact is greatest on low-income families. The lower a family’s income, the higher the percentage of their total income they must spend for energy. The strain on household budgets often causes unavoidable trade-offs between food and energy, called ‘heat or eat’ or ‘cool or eat.’ These trade-offs have serious consequences for young children’s health and learning, particularly for children of color. This report demonstrates the important role that the Low Income Home Energy Assistance Program (LIHEAP) plays in protecting children’s health and ability to learn. Energy insecurity compounds the negative effects of food insecurity on child health. 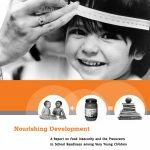 “Heat or eat” and “cool or eat” situations further compromise the nutrition of already-vulnerable young children, and increase their risk of health problems in both the short- and long-term. Children of color are at increased risk of experiencing the damaging effects of energy insecurity because their families are disproportionately poor and underserved. 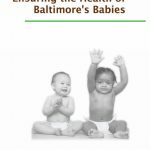 This report details Children’s HealthWatch data on energy insecurity among children of color, focusing specifically on Black and Latino children ages 0 to 3. 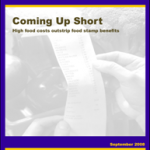 The Food Stamp Program is America’s first line of defense against hunger and the foundation of our national nutrition safety network. 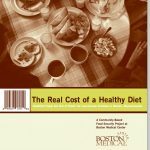 Physicians and medical researchers also think it is one of America’s best medicines to prevent and treat childhood food insecurity. 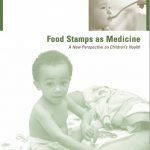 The report demonstrates the important protective effect of food stamps on child food insecurity and for citizen children of immigrants. Eligible children receiving food stamps are less likely to be food insecure than eligible children not receiving food stamps. 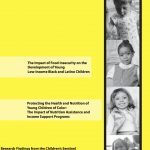 A pair of reports demonstrating the increased vulnerability of young black and Latino children from low-income households to developmental risk linked to food insecurity and the buffering effect that family support programs can have on young black and Latino children’s health and growth.